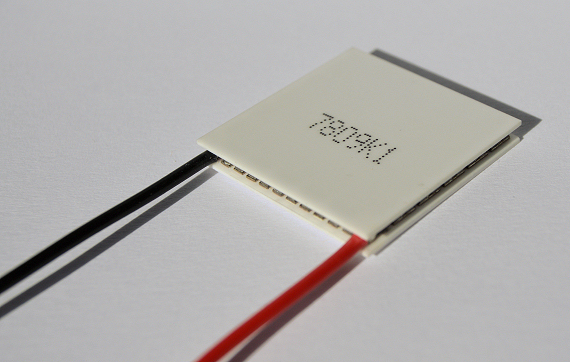 TM 71-1.4-8.5 is a popular multi-purpose single-stage thermoelectric module with a 30 x 30mm footprint. It is intended for use from 5 to 8 Volt DC power sources and although it doesn’t have the greatest Qmax in this configuration, it’s a solid performer. 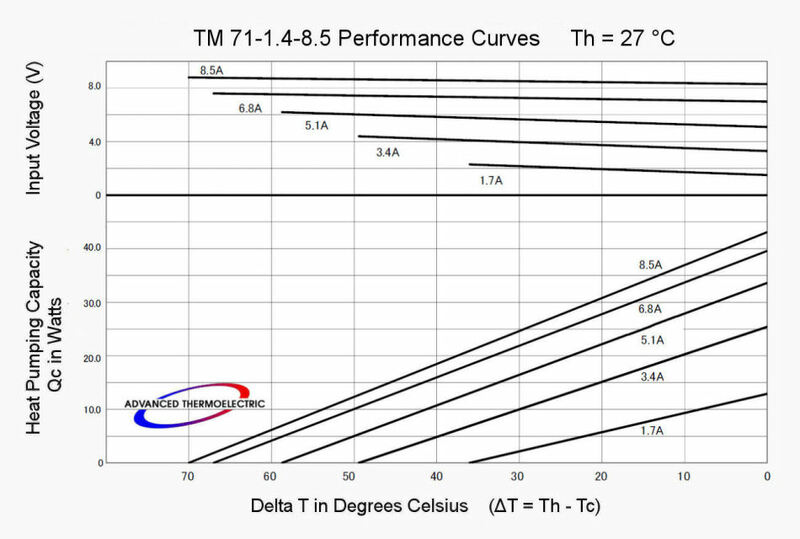 TM 71-1.4-8.5 can be used with a very wide variety of economical extruded heat-sinks without the hot-side temperature becoming unreasonably high. It’s also frequently used in strings. 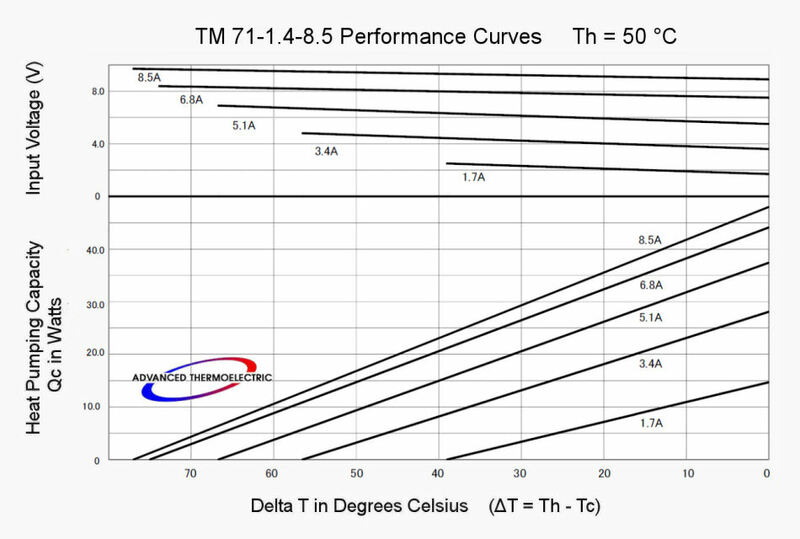 Typically used in instruments and electro-optic or photonic applications, TM 71-1.4-8.5 is often used to maintain a constant temperature however, it may be used for cooling, heating and thermal stabilization. It's employed in a wide range of civilian and military applications. 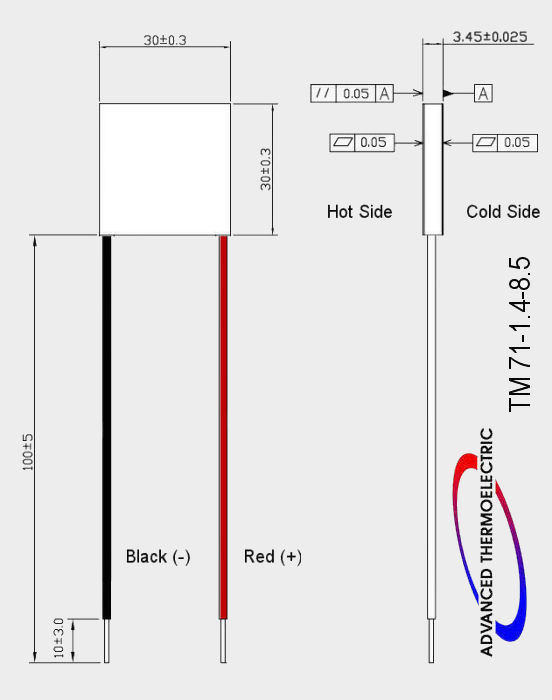 A thermal cycling version is available.